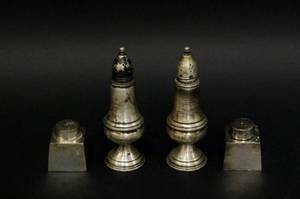 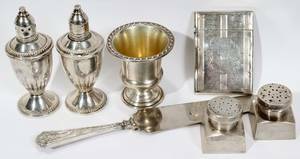 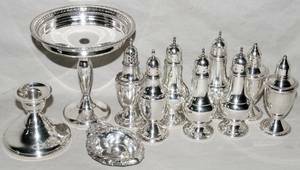 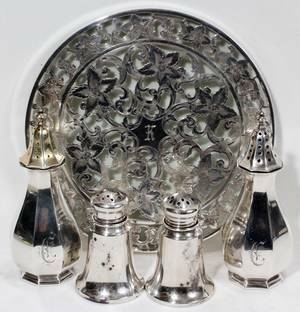 Two pairs of salt and pepper shakers including one sterling silver weighted pair of tapered form rasied on circular foot, marked on bottom "STERLING WEIGHTED AMC"; and a mid century modern style pair of shakers of squat tapered square form, unmarked. 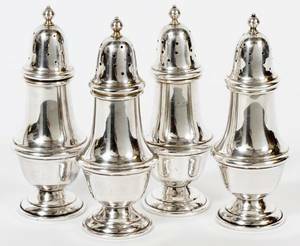 Height of sterling weighted shakers 5.25". 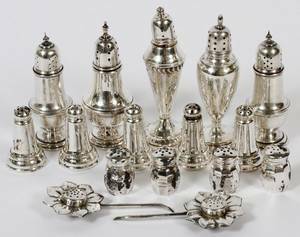 Height of modern styled shakers 1.75".